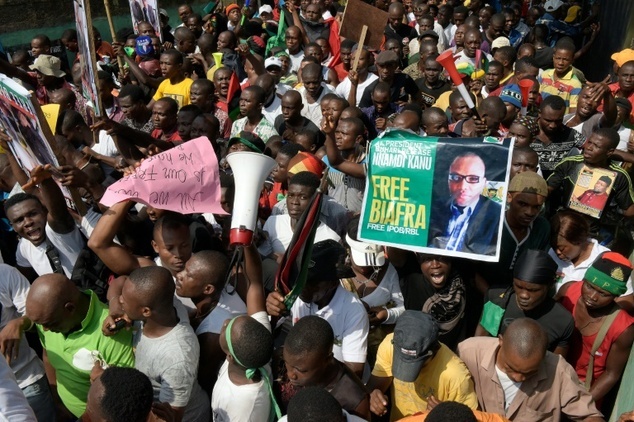 Forty-five years after a brutal civil war, Nigeria is facing a new wave of protests for a separate Biafran state, driven by long-standing complaints about poverty, neglect and injustice. The impetus for the current agitation is not much different from that which led to Emeka Odumegwu-Ojukwu's unilateral declaration of a Republic of Biafra in 1967. The then-military governor of Nigeria's old eastern region accused the federal government of marginalising and killing thousands of ethnic Igbos living in the north. Some one million people died during the brutal 1967-70 conflict that followed, mainly from disease and starvation. 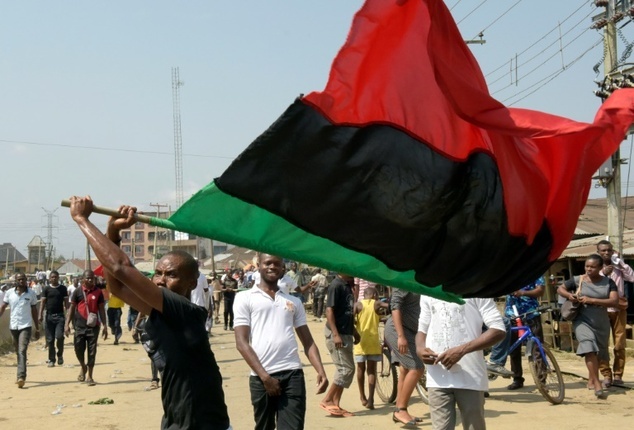 The past few weeks have seen protests across the southeast where the Igbos are in the majority, following the arrest last month of Radio Biafra director Nnamdi Kanu. He is now facing charges of criminal conspiracy and membership of an illegal organisation. Carrying Kanu's portrait, the Biafran flag and chanting freedom songs, the protesters called for his release and a separate state. One slogan read "Biafra or death". 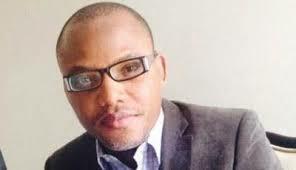 Kanu, who heads the Indigenous Peoples of Biafra (IPOB) group, has emerged as the new face of the Biafra struggle. It was previously championed by the Movement for the Actualisation of a Sovereign State of Biafra (MASSOB), formed in 1999 by Ralph Uwazurike. But internal wranglings split MASSOB and a faction led by Uchenna Madu, its former spokesman, is now working with Kanu's IPOB group. Madu said the protesters had planned a symbolic blockade of the Niger bridge in Onitsha this week but the idea was shelved after warnings from the security services. The strategic bridge linking Igboland with the rest of Nigeria was a key battleground during the civil war and the de facto border. "There would have been no movement of vehicles on the bridge because we had planned a seven-day vigil to force the government to release Kanu and for Nigeria to give us freedom," he told AFP. Anayochukwu Okpara, the IPOB coordinator in Abia state's commercial hub, Aba, said intimidation, harassment, arrest and detention would not stop the struggle. "We will step up non-violent campaigns to demand freedom from Nigeria. We are Biafrans. This forced marriage should be dissolved," he said. The Nigerian army has vowed to "suppress insurrection and act in aid of civil authority to restore order when called upon to do so", stoking fears of a backlash and unrest. Southeast governors have condemned the mass protests, questioning why the pro-Biafra campaign has re-emerged with a new government in place under President Muhammadu Buhari. Certainly, longstanding suspicions of northerners like Buhari play a part, after anti-Igbo attacks in the Muslim-majority north in the 1960s. But not everyone agrees with the renewed push for a homeland. Chuks Ibegbu, of the Igbo Information Network lobby group, said the current agitation would not serve the cause. "We can no longer pretend that all is well when some groups capitalise on our sad experience of the past to try to railroad us into fighting another avoidable civil war," he added. 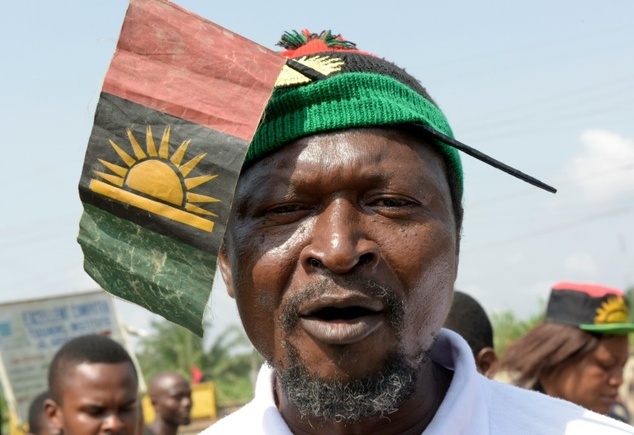 Patrick Odife, a 60-year-old textile trader in Onitsha, said "the Biafra flame is burning again because nothing has changed since the civil war". "The younger generation of Ndigbo (Igbos) are bitter about the structure of Nigeria," he added. "They believe that the structure is skewed against them, in politics, in education, in the provision of social infrastructure." Most of those involved in the protests weren't even born during the civil war but resentment has passed down generations. "The southeast has been neglected by successive governments in Nigeria in the area of good roads, hospitals, seaports and jobs," said campaigner Chukwuemeka Ezeobika. Many Igbos were forced to abandon their properties in Nigeria during civil war and have not been able to recover them, making many feel "like a defeated people", he added. "The slogan 'No victor, no vanquished', declared by Nigerian head of state General Yakubu Gowon after the war, is a myth," he said. "Even the three Rs -- Reconstruction, Rehabilitation and Reintegration -- introduced to heal the wounds of the war has not been faithfully implemented." In Aba, businessman Ndubusi Ikemefuna called for the government to treat everyone fairly, irrespective of tribe, religion and social status -- and had a stark warning if that failed. "The lingering Boko Haram insurgency will be a child's play compared to the scale of ethnic violence that will consume Nigeria unless the right thing is done for all," he said.